It’s important for me to state that this was the first time I fully listened to an audiobook. I had listened to some audiobooks (mostly parts of Harry Potter), but since I read the books before listening to its audio version, it was hard for me to pay attention. And I always assumed that audiobooks weren’t for me. I tend to have a bad attention span. Everything distracts me. So I figured that I could never pay attention and comprehend an audiobook well. 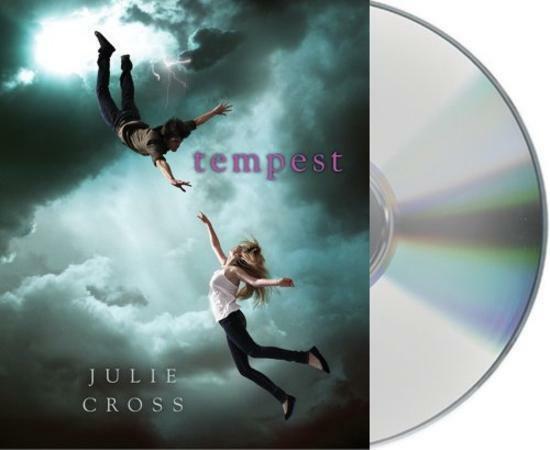 However, the kind people at Macmillan Audio sent me an audiobook of Tempest by Julie Cross. Duty and curiosity had me copying all nine discs to my iPod shuffle, and I started listening. I was quite surprised by how much I enjoyed listening to an audiobook. It was a lot more relaxing and provided a very different storytelling experience. That might have to do with how much I liked Tempest. Yet, I still believe that if I had read Tempest, my feelings and overall experience would be different. I didn’t know much about Tempest before I started listening. From the cover, I thought it may have to do with the angels. I was very happily wrong. The main character is Jackson, a 19-year-old New Yorker, who happens to be a time traveler. Yes, a time traveler! I love time-travel stories, but haven’t had a chance to read many of them. Hence, from that very first line, “Ok, so it’s true; I can time travel,” I was hooked. Jackson is a pretty easy-going guy. So easy-going that he’s not particularly freaked out by his time travel ability. Probably because so far, it has proven to be pretty harmless. The only person that knows about his ability is Adam, his MIT super-smart hacker friend. The two have been doing “experiments” to understand how and why Jackson can time travel. Holly is Jackson’s girlfriend, and can’t help but be hurt by Jackson’s secretiveness. Life seems as normal as it can be for them in 2009, until one day, when two strangers burst into Holly’s dorm and attack Jackson and her. Holly gets shot, and in a panic, Jackson unintentionally time travels to 2007. But this time, he’s stuck there. Hence, he makes it his mission to find a way back to 2009 to save Holly, and on the way, discovers a lot about himself, his family and time-travel. It’s almost an understatement to say that a lot happens in this book. Tempest is practically jam-packed with plot. In one way, that was a good thing because it kept me interested in the story. It made me want to keep listening. On the other hand, it was hard to keep track of all the information thrown at you. While it’s not impossible to understand the version of time travel that the author creates, I felt there were some holes in the theories presented. I’m assuming (and hoping) that those get filled or cleared up in the subsequent books. Despite that, the plot was engaging. I was desperate to know what happened next, and the ending left me wanting more. When it comes to the characters, I liked them but with some reservations. Jackson is a likable lead, but I wish there was something more distinctive about him (besides the time travel ability). He’s almost cookie-cutter perfect. The same goes for the other characters, especially Holly. We meet Holly, and she seems like a cool, nice girl. But what makes her special? Holly is Jackson’s driving force in the story, so I hoped that her character would’ve been a little more developed. While the characters could’ve been better developed, one thing the author did perfectly was creating the chemistry between the characters. Sure, I didn’t understand what made Holly special but I could feel that Jackson totally loved her, and vice versa. Yet, one of the most heartbreaking scenes in the story was between Jackson and his twin sister Courtney. Courtney died when they were 14, and Jackson travels back to times when she was still alive. The emotion from one scene caught me by surprise so much; I couldn’t stop swiping away tears. The book is read by Matthew Brown, who does a fine job embodying Jackson’s inner voice. Brown emotes at the right places. Although I found some of his voices for other characters slightly funny (one sounded like an older version of Zoolander), he did nothing to distract the story, only enhanced it. One thing I especially realized when listening an audiobook was that it removed your chance to come up with your own interpretation of what is said or thought. There were a couple times when I would’ve read or interpreted differently from how it was spoken/acted. The audiobook experience for Tempest was a great one. After finishing it, I feel like this is the best way to experience Jackson’s story. It’s hard to imagine reading its sequel in book form. If you’re an audiobook aficionado, Tempest is a story to check out. For those new to audiobooks, like me, Tempest is definitely a good one to start out with. It’s an awesome, addicting story full of action, romance and interesting concepts. 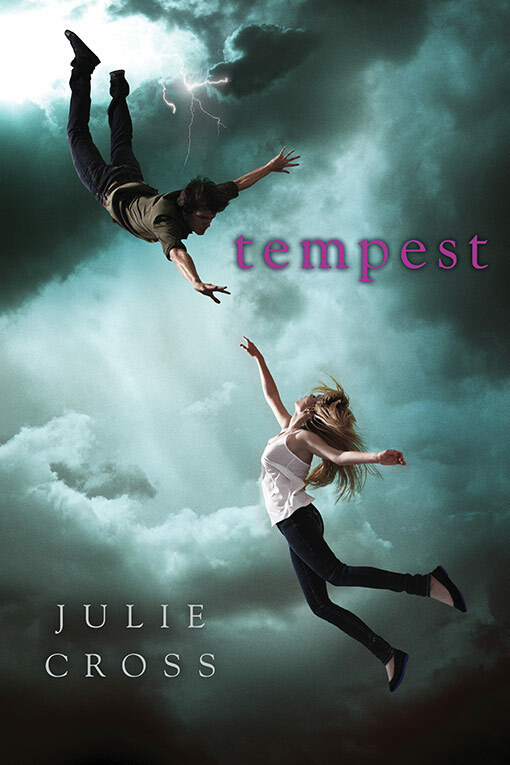 You can purchase the Tempest audiobook from our TYF Store, powered by Amazon.